Three years ago I joined a small group of Christian wives who were committed to strengthening their marriages. My 17-year marriage to Rey was good, but we’d experienced a few rocky patches that had unbalanced me and I was yearning for greater stability in our relationship. 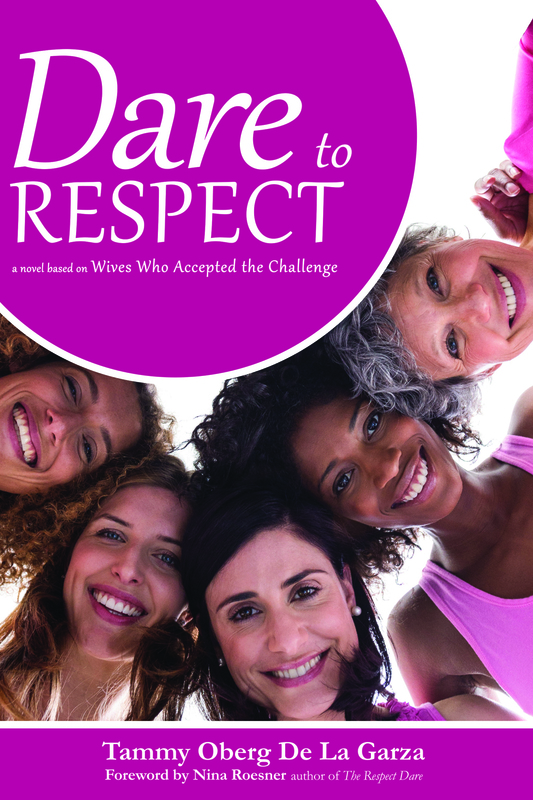 Our small group began a book study of Nina Roesner’s “T he Respect Dare,” which introduces 40 dares that examine the Biblical template of wives respecting their husbands. I understood that men craved respect in the same way that women longed for love in marriage, but had NO CLUE how that looked on a practical level. I operate in a culture that emphasizes female equality (if not dominance). To be honest, whenever I used to read the Bible verse “wives submit yourselves to your husbands…” (Ephesians 5:22 & Colossians 3:18) I’d bristle with rebellion. I approached each new respect dare in our study cautiously but optimistically. There were times I had to build up my courage and take a giant leap out of my comfort zone. As we neared the end of Roesner’s 40 dares, I was amazed at the positive changes that had taken place in my marriage and saw value in every uncomfortable task that was assigned. I was showing respect to Rey and he was acting more loving than ever before. I was convinced that every wife, both Christian and non-believer, needed to experience a similarly, miraculous transformation… and the idea for a novel was conceived. A huge fan of fiction, I knew the respect-your-husband message could safely explored (even by reluctant wives) through storytelling. To be honest, I see it as a movie, and still pray that my vision is realized. From the start of this project, I needed Roesner’s permission to write a novel whose characters use her dares as a guide to improving their marriages. My first email to Nina began something like this… “You don’t know me, and this might sound crazy, but I believe God is calling me to write a novel about wives who do your Respect Dare study.” Although it took a few months for us to connect, I explained my ideas to Nina and eventually had her blessing. I wrote from September to February, mostly in the front seat of my car while my son was at late-night hockey practice. It was there that I wove the story of 6 women who quickly became my closest girlfriends. We laughed. We cried… and I probably looked like a lunatic, sitting alone in my dark, cold car with only a glowing laptop as my companion. Dare to Respect is launched! This week I’ve been researching a wealth of Christian Marriage blog ministries (Christian Married Bloggers Association) and engaging with a handful of inspiring bloggers who are focused on building strong, Godly marriages – Better Than Newlyweds, Dating Divas, Former Forgiven Feminist, How’s Your Love Life, Journey of Being a Wife, Life Travelers, and of course with Nina Roesner and The Respect Dare team. I am delighted and incredibly conscious of God’s mighty hand in this whole project. I’ve never written a novel and certainly inexperienced in launching one, so wherever this book goes, it’s evidence of his grace and glory. After only four days, He has already opened the door to one interview and two guest blog invitations! Next up on the agenda is communicating with media – radio, television, newspapers. While a little intimidated, I can rest in the knowledge that this project – from the first inkling of a story to the book launch – belongs entirely to Him. I pray that in this journey of opening doors, God firmly shuts the ones that don’t represent His plan. I also pray that Dare to Respect blesses wives everywhere – in book studies, small groups and in communion with God.